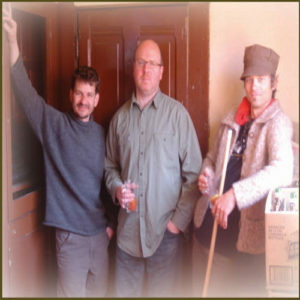 This California rock trio provides thoughtful lyrics, unique song structures, raw energy next to sweet tenderness, introspection and outer expression through musical expeditions. Their signature style was created by combining a reverent blend of the best traditions of Rock ‘n’ Roll history whether it be classic, psychedelic rock, punk, or pop and the application of a singular modern songwriting voice in Daniel Lippincott, founder and label head of Splintered Tree Records. 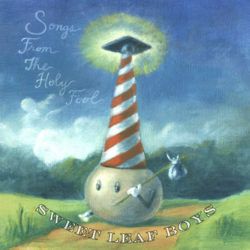 The Sweet Leaf Boys were an active band from 2000-2008. Although their time together was sporadic and topsy-turvy with everyone up to their elbows in many musical projects, they managed to release two albums and one 7″ single. It was always a pleasing musical collaboration and creation between the three main members. 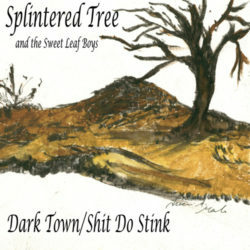 In 2004 the Sweet Leaf Boys made history with their first single, “Dark Town”, released on limited edition 7” vinyl. This was followed by the 2006 release of their debut album, “Songs from the Holy Fool”. Both releases appear on Oakland’s infamous Splintered Tree Records and that album also enjoyed international support from San Francisco’s pioneering co-op distribution giant, IDC. 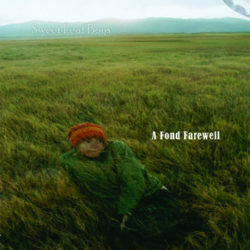 They finished their musical journey in true style, releasing “A Fond Farewell” in 2007, which captured the raw power and growing maturity of their sound and songwriting as well as the fullest expression yet of the true collaborative spirit that made their music stand out.